Mallyan House overlooks a beautiful silver birch tree coppice and is hidden behind mature laurel hedges. Set on a private south facing corner plot extending to over half an acre Mallyan House is approached along a resin bonded shingle driveway via automated security gates that feature brick piers. The sweeping driveway leads to the impressive entrance portico influenced by the Georgian era. Grand sweeping concrete principle staircase with marble cladding and wrought iron balustrade leads to the upper floors. From the grand entrance, the hall doors lead off to a study, TV room and cloakroom. 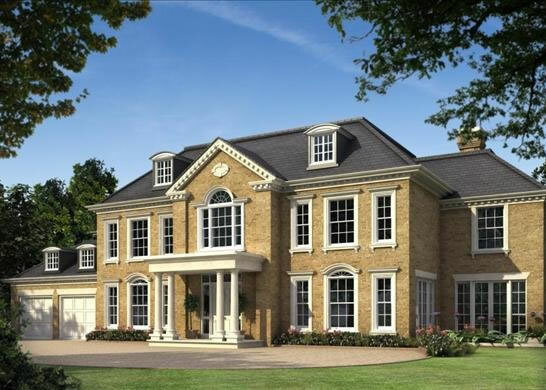 Further doors lead to the large drawing, dining and garden rooms designed for modern flexible living. 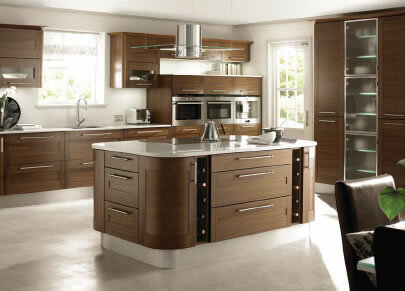 The house benefits from a large kitchen with separate breakfast and family areas and a utility room. The galleried landing on the first floor leads to the master bedroom suite that features a separate dressing room and significant bathroom. A further 2 large en-suite bedrooms and a separate guest suite complete this lavish floor. The top floor houses a further 2 bedrooms and fifth bathroom. This floor also provides a considerable home cinema room or staff accommodation which includes a sixth bathroom. Mallyan House is constructed in a mixture of Danehill yellow stock bricks detailed with traditional Portland Stone features, such as the entrance portico and the ornate cills and window surrounds. The roofs are covered in natural slate that projects a rich and beautiful quality. Levels of roof, wall and floor insulation, which exceed the building regulations requirements, together with purpose made high quality timber external joinery with hermetically sealed double-glazed units, ensure the property is comfortable and energy efficient. The house is set in beautifully landscaped and private grounds that provide a wonderful tranquil and secure setting. The front and south facing rear gardens are professionally designed and fully landscaped and comprise a private courtyard garden area, a large hard standing terrace area to the rear with exterior lighting. The rear garden also features a good sized heated and filtered external swimming pool. Existing mature planting, mixed with new large specimens, including high laurel hedges to match, create a well screened and private garden. Every detail has been carefully thought out to create a truly wonderful and perfect residence.